If you are a guitar enthusiast who’s looking for a specific model of guitar, or someone who’s looking to save some money, buying guitars online is the way to go. Online shopping has obviously exploded in recent history across all industries, and musical instruments are no exception. 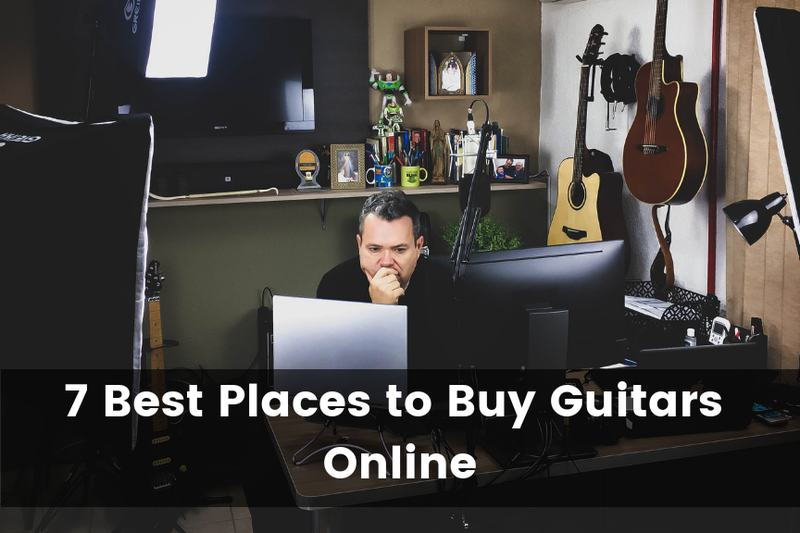 In this article, I’ll outline 7 of the best places to buy guitars online based on factors such as selection size, price, customer service, shipping, and overall buying experience. Whether you’re looking for a new guitar or a used one, you’ll surely find the right one somewhere on this list. Should You Buy Guitars Online or in a Store? Sweetwater is one of the largest online retailers for musical instruments, gear, and software. It is one of the most reliable online guitar stores, offering products from all of the reputable brands that you would expect including Gibson, Fender, PRS, ESP, Ibanez and more. In addition to having the top of the line brands and models, you’ll also find budget options from each brand, such as Epiphone guitars, PRS SE, ESP LTD, and Mexican made fender guitars. One huge perk to shopping on Sweetwater is their customer service. They are very knowledgable about gear and technology, so they’ll be able to answer any questions you about guitar specifications and the differences between guitars. If you ever purchase music software and need help configuring it, they even have software where you can allow them to remotely take over your computer and fix it for you on your machine. Guitar Center is one of the largest, most well-established music stores set up to provide various musical instruments. They are pretty much the go-to retailer when it comes to purchasing in a physical store, but their online catalog is even more impressive. Whether you’re new to playing guitar or a professional, Guitar Center has you covered with cheaper beginner guitars all the way to professional quality guitars. They also have all of the gear and accessories you would ever need including amplifiers, pedals, strings, picks, straps, cases and more. One of Guitar Center’s best perks is their used catalog. Since they accept trade-ins at any one of their physical stores, you can purchase a used guitar from any one of their physical stores. The cool thing about buying used gear from Guitar Center online is that you have the option to have a guitar shipped to your local store. For those who are hesitant to buy guitars online and would rather play with the guitar in store before you buy, this is a great option. Once the guitar is shipped to your store, you can play with it and decide if you want to return it once you get your hands on it. This essentially removes all of the risks of buying online. 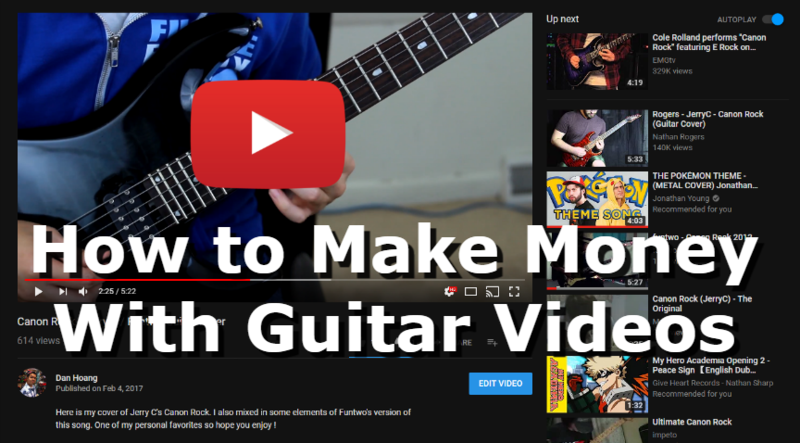 As previously mentioned, Guitar Center is one of the largest guitar retailers out there, so in terms of options, they’ll pretty much have every popular model of guitar you can think of. Amazon is obviously the largest online sales platform in the world – period. You can pretty much find anything on Amazon, including guitars. Don’t sleep on Amazon just because they are not a dedicated music retailer. Amazon is one of the best places to buy guitars online if you’re in the market for a beginner or intermediate level guitar. This is where they shine because they often offer these guitars at lower prices than typical guitar retailers. While they do have some of the higher-end, professional guitars, their selection for those can be lacking. One huge advantage that Amazon offers is fast and free shipping if you’re an Amazon Prime member. Remember that guitars are large, heavy, and awkward to ship. Shipping on guitars can get really pricy. However, if you have Amazon prime, you can get free 2-day shipping on most guitars. In addition, Amazon’s customer service is obviously world class. They usually always side with the buyer, so if you have any issues at all, they’ll usually just refund you; no questions asked. However, since they’re not a dedicated music retail store, their customer support is not well educated in terms of guitars. Don’t expect them to be able to answer any questions about guitar specifications and such. Musician’s Friend is a household name for many music lovers. It is, therefore, one of the best places to buy a guitar. More so, shipping is always free. 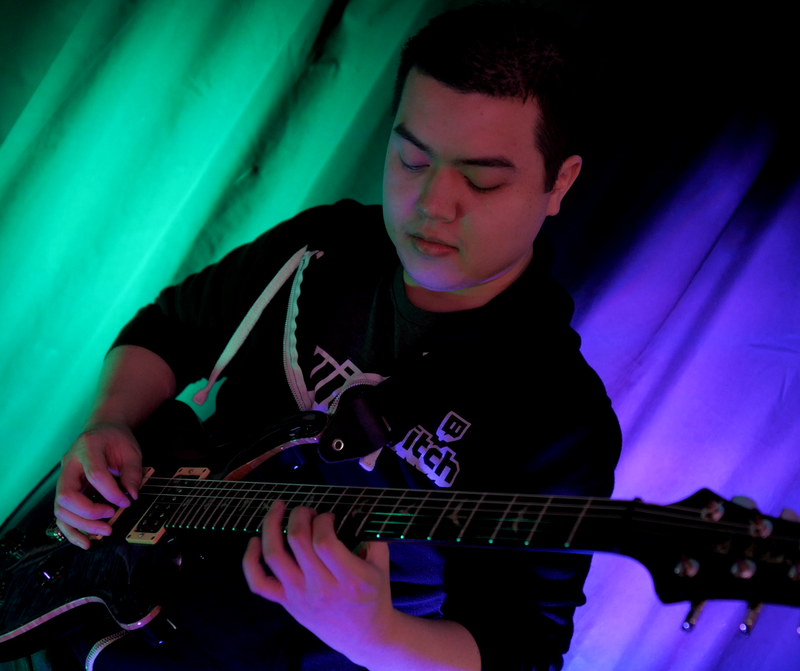 All you need to do is choose your guitar and the rest will be done for you. In a majority of the states, you will not be charged sales tax. This can translate into greater savings. At Musician Friends, you get to deal with professionals who can even help you identify the kind of guitar you need, especially if you are not sure. Moreover, in case of any problems after the purchase, their customer service will promptly resolve the problem in the best way possible. They also offer great deals every day that might save you some extra bucks. In addition, you will get a two-year warranty for every brand new guitar you purchase. Sam Ash is one of the largest guitar retailers in the world and has built a resounding reputation over the years. Apart from having a number of physical stores, they also have a wide selection of musical instruments and gear online. If you’re just looking for a reliable store with a ton of options, Sam Ash carries all of the major brands. Their prices are typically on par with what you would find at any other retailer. Sam Ash also has well-trained sales associates who are extremely knowledgeable about their products. 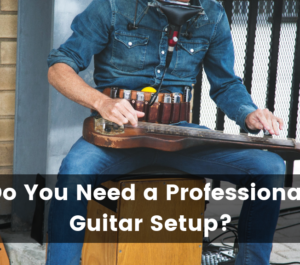 More so, you don’t have to worry if you are not conversant with a specific guitar as their sales representatives will bring you up to speed and even recommend the best piece that suits your needs. Sam Ash has a great customer service support ready to address any concerns you may have in a professional way. In terms of shipping, Sam Ash will give you a realistic timeline depending on where you are located. 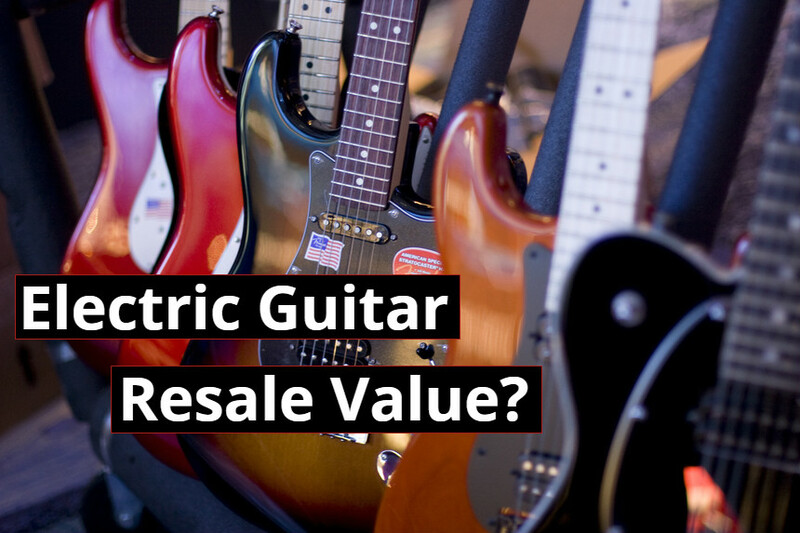 In many cases, buying used guitars is the best option if you’re looking to save some money. You can often get great deals of guitars that would usually be out of your price range. If you’re lucky, you can find guitars that are literally at a 50% discount from its new price. 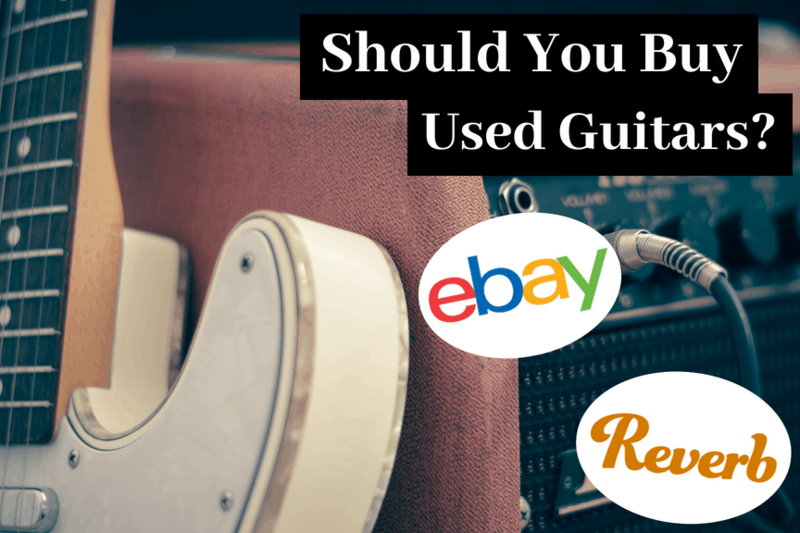 Here are the absolute best places to buy used guitars online. Keep in mind that as mentioned about, Guitar Center is also a great place to buy used gear. However, the list below is for stores that are specifically dedicated to buying and selling used gear. eBay is the worlds largest online platform for buying used goods. There’s an incredible selection of musical instruments on eBay. It’s very common for guitar players to swap out their gear. Either they’re looking to upgrade from their current guitar to a better model, or they are just looking for something that’s a different style. As a result, you’ll pretty much find any guitar model you’re looking for on eBay. In addition, you’ll find guitar models that are a few years old as well. Buying older models of guitars is a great way to save money because guitar companies usually only make minor incremental changes each year to their line of guitars. In terms of buying guitars on eBay, it is very safe. eBay is VERY buyer focused. If you feel that for any reason that there was a problem with the product you order, you are entitled to a refund. Their money back guarantees policy ensures that you’re covered in the event that you never receive your item from the seller, the product is damaged, or the item doesn’t match the description. Their customer support is also amazing, so if you have any issues with your account or purchase, they’ll fix it for you right away. Buying on eBay is very safe. From my experience, I noticed that the big advantage of buying used guitars online on eBay is that prices seem to be significantly lower than other platforms. This is likely because people list their items on eBay when they need quick cash. eBay can push these listings out to a wider audience much faster than other platforms due to how popular the platform is. So, from the buyer’s perspective, eBay is the go-to place when you’re looking for the best deal. Reverb is the largest and most reputable online platform dedicated to used musical gear. The main difference between Reverb and eBay is that Reverb specifically focuses on music gear. On Reverb, you’ll find a lot more high-end guitars from the premium brands. From my experience on Reverb, I typically notice that guitars I’ve bought came in much better condition. This is likely because Reverb is geared specifically towards music enthusiasts, meaning sellers are much more likely to understand how to maintain their instruments. One cool thing about Reverb is that you’ll often find that guitars have upgraded specifications, such as pickups and hardware. Guitar players often upgrade their guitars to help match their style, so if you buy a guitar that’s been upgraded by the previous owner, then you could end up paying less money for a guitar that’s objectively better than if you were to buy it new. When determining whether or not you should buy a guitar online versus a physical store, there are several factors that you should consider. Convenience- Obviously, purchasing a guitar online is much more convenient. You can have it shipped right to your door without having to leave your home. If you’d rather not go to a store and have to carry it home, then you should buy a guitar online. Variety- When you’re shopping online, you’ll have infinitely more options to choose from. You can find new and older models of guitars that physical stores don’t stock anymore. If you’re doing some research online before you buy and decide on a specific model, color and configuration, then buying online is the way to go. There’s a good chance that the store won’t have the exact guitar that you’re looking for down to a tee. Feel – The main reason people would rather not buy online is that they can’t play the guitar before they buy it to see if it feels good to them. A guitar can look perfect on paper, but if it doesn’t feel good in your hands, then you shouldn’t buy it. Buying online can sometimes feel like guessing because no two guitars will feel exactly the same, even if they are the same model. When you go to a physical store, you can try out the guitar before you buy it. This way, there are no surprises. You know exactly what you’re getting. I hope you enjoyed this post. If you’re considering buying a guitar online, be sure to check out one of the online guitar stores listed above. I am confident that you will be able to find the perfect guitar that suits your needs as a player. If you’ve had good experiences buying from other websites, feel free to leave a comment letting me know as I’d love to continue adding to this list – Best of luck!